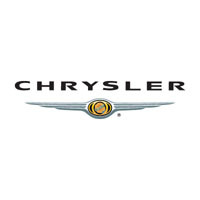 Tailored Chrysler car mats for your own vehicle or an entire fleet. Hardwearing enough to protect against all the soil, mud and water the British weather can throw at them, yet stylish enough to enhance the look of your car. Manufactured in the UK and covered under warranty, our tailored Chrysler car mats are fire retardant and waterproof, while also cut to the original Chrysler template and delivered with all the fixings to ensure an exact fit, easy installation, and complete satisfaction. Customise with your own text, logo, or one of ours, choose your colour and edge trim style, and let us take care of swiftly delivering your tailored car mats exactly as you ordered.